Choosing the Right Lawyer Is A Major Decision! When it comes to choosing the right lawyer, you need someone you can trust for legal advice. The law firm of Larry H. Tatum, P.C. has been helping people with a variety of legal issues for more than 20 years. 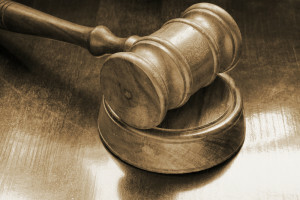 When you’re dealing with legal issues, there are numerous lawyers to choose from. It’s not easy to know if you’re getting the right representation for your legal problem. Choosing the wrong attorney can cost you more money than you realize. It can quite possibly be a life-changing decision. You need an attorney that will be up front with you and direct you through your legal issues effectively. When you need sound legal advice and representation with integrity in the Suwanee area, contact the law firm of Larry H. Tatum P.C. Whether your dealing with an impending divorce, child support concerns, child custody or visitation matters, or some other aspect of family law, these issues can be tremendously stressful. Not only is it crucial to have a qualified lawyer that represents you properly, you need an attorney that has a heart with a personalized touch. When it comes to family law, you want a lawyer who cares and is knowledgeable about the law and will fight for you. When an accusation has been made towards you or a loved one for breaking the law, lives are turned upside down. It can be a scary and extremely devastating experience. That’s why it’s undeniably important to get a lawyer who can successfully represent you. With over 20 years of experience, Larry Tatum has dealt with shoplifting, DUI cases, drug possession charges, violence and dozens of other misdemeanor and felony criminal law cases. 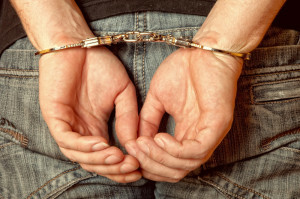 Don’t let a criminal charge ruin your life. Call Larry Tatum at (770) 979-2199 today. He is the attorney that can effectively defend you. If you or your property has been damaged, you have been physically harmed, have a debt dispute or are being sued, you need a lawyer who will work to resolve your case. No one wants to end up in litigation, but if necessary, you want an experienced, trial-savvy lawyer. Choosing the wrong attorney can cost you plenty! Call us to set up an appointment. Health problems are always inconvenient, but when they occur, you want to make sure you’re prepared. 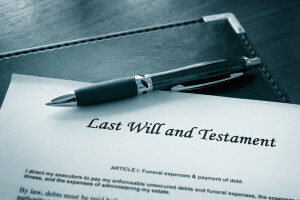 Preparing beforehand means you have a valid will, documented healthcare directives and financial power of attorney. The law firm of Larry H. Tatum P.C. can quickly and effectively assist you now in preparing for the future for your loved ones. Few things are worse for a grieving family than to also have to endure financial hardships when a loved one unexpectedly passes away. Let us help you make appropriate recommendations with a valid will. Healthcare issues can arise suddenly and without warning. Having a healthcare directive and financial power of attorney in place now is very important. These documents provide your family and healthcare workers direction for your desires in the event you are not able to communicate your wishes. Larry Tatum will help you to outline your directives, which will ease the amount of stress from your loved ones in the event of illness or an accident. When you have legal issues, it’s essential you hire the lawyer with the expertise you need. In addition, you need to ensure that your legal issues have the highest priority. The last thing you need is to feel like your case is “at the bottom of the pile”. You need an aggressive attorney that will give you the personal attention you deserve. Call Larry Tatum. Whether you need a family lawyer, a civil litigator, criminal defense attorney or just a general attorney, we’ll help you with all of your legal issues. We’ve been helping families around Suwanee and throughout Gwinnett County to bring about winning results for more than 20 years. Larry Tatum is the lawyer you can trust! Click here to learn more about the the law firm people in Loganville trust.